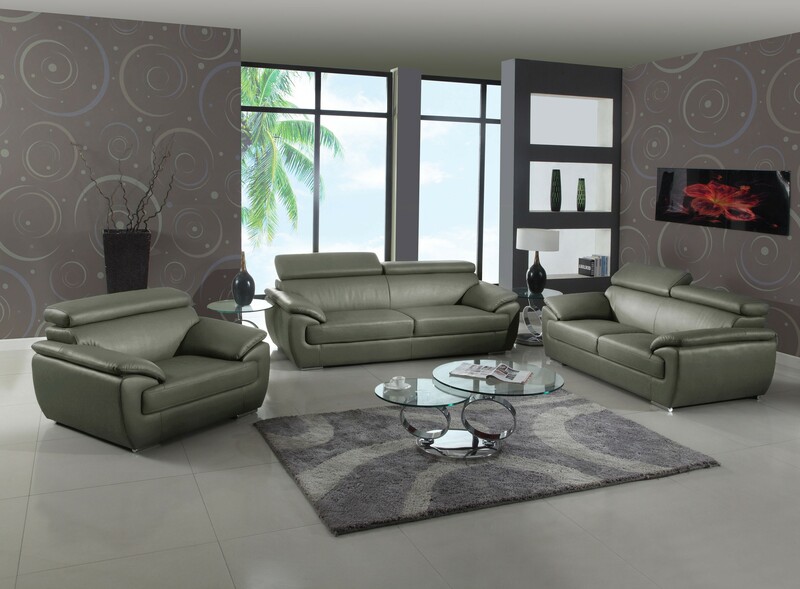 4571 grey modern style living room set wrapped in grey color genuine leather everywhere you sit. For additional comfort adjustable headrests are included on all pieces along with open armrest design perfect for laying down. Square silver color legs are padded to protect your floors. Collections includes sofa, loveseat, chair also available in white and black color leather.